Intertek, a leading provider of quality and safety solutions for a wide range of industries worldwide, has expanded petroleum and fuel laboratory and inspection services to support clients operating on the Rhine river, from Switzerland to the North Sea, from a new location at the Birsfelden Rhine river harbour next to Basel. With is expansion of testing and inspection services at Birsfelden, Intertek continues to build upon the services already offered along the industrialized areas of the Rhine river, known in German as the "Rheinschiene". 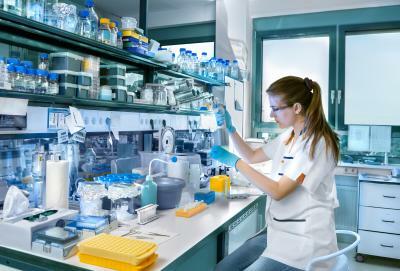 The laboratory is located in the Birsfelden Rhine harbour, and is focused on testing petroleum, fuels and chemicals. A further lab expansion is planned towards the end of 2012, enabling Intertek to offer a full spectrum of services for quantity and quality assessments of liquid petroleum refined products. 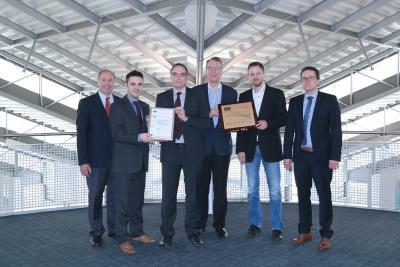 Rainer Mast, Intertek Germany Country Manager, stated: "The new lab and inspection location in Birsfelden is the 3rd Intertek Switzerland lab and inspection facility for fuel and oil testing, adding to our existing locations in Schlieren and Geneva. The new facility expands our expertise in the region, supporting Rhine river trade in petroleum and fuels. The new Birsfelden facility underscores Intertek's strategy to offer services across borders, and always be close to our markets and customers". Bernd Schwarz, General Manager for Intertek Commodities Germany, said: "The Birsfelden lab makes a perfect companion to our existing laboratory network in Schlieren and Geneva. 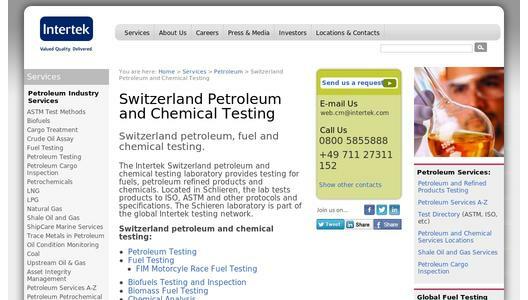 Intertek offers clients in Switzerland and Germany enhanced local service capabilities, efficiency and speed". Intertek is a leading provider of quality and safety solutions serving a wide range of industries around the world. Through our services, we help our clients to minimise the adverse health and environmental impact of their products and processes for the benefit of society as a whole. From auditing and inspection, to testing, quality assurance and certification, Intertek people are dedicated to adding value to customers' products and processes, supporting their success in the global marketplace. Intertek has the expertise, resources and global reach to support its customers through its network of more than 1,000 laboratories and offices and over 30,000 people in more than 100 countries around the world. Please visit www.intertek.com for further information.